Woodland Adventurers® Centre for Outdoor Learning (CfOL) has heaps of experience running Forest School sessions for children of all ages (toddlers, young children, older children and teenagers) in different settings such as countryside, forests, woodlands and city school / pre-school grounds (including grounds that have no trees and limited space). We also train people (such as teachers) in Forest School qualifications. 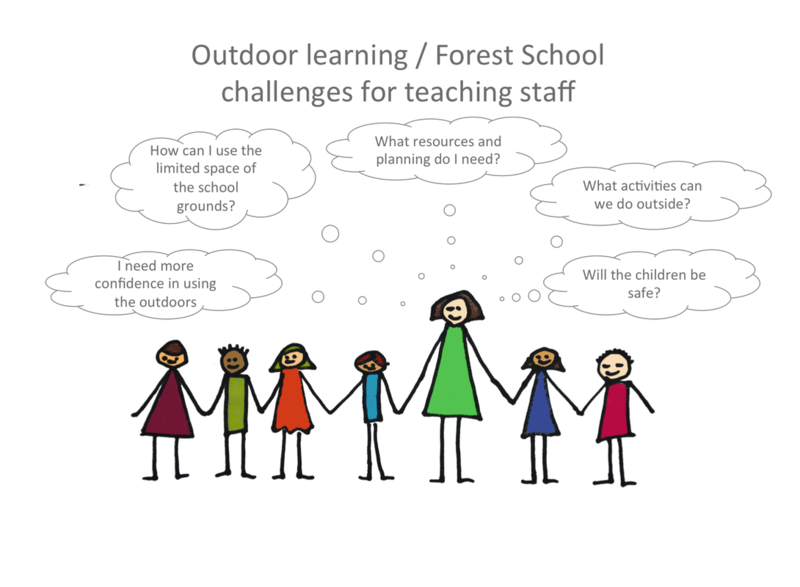 Woodland Adventurers® Centre for Outdoor Learning (CfOL) can assist you in setting up a Forest School in your school or pre-school. To find out more about how we can support your school / pre-school please click on the "For more information" buttons or visit our contact page.